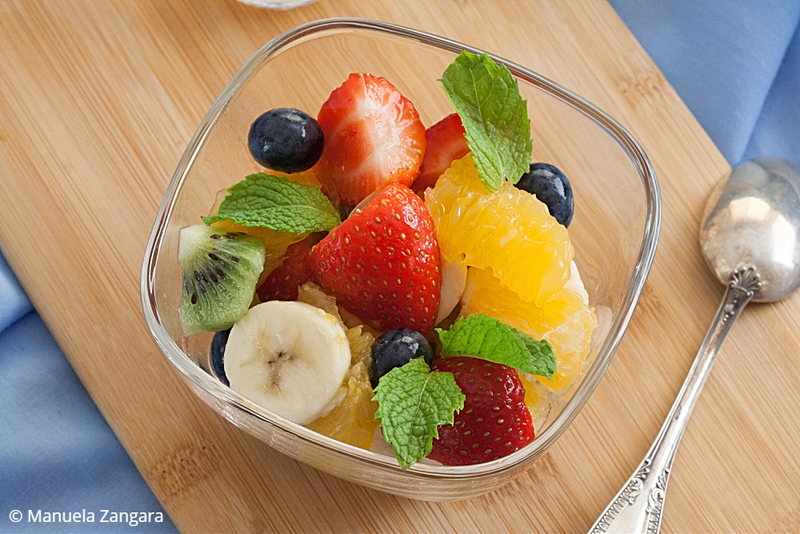 What could be better than a fresh fruit salad on a hot summer day? 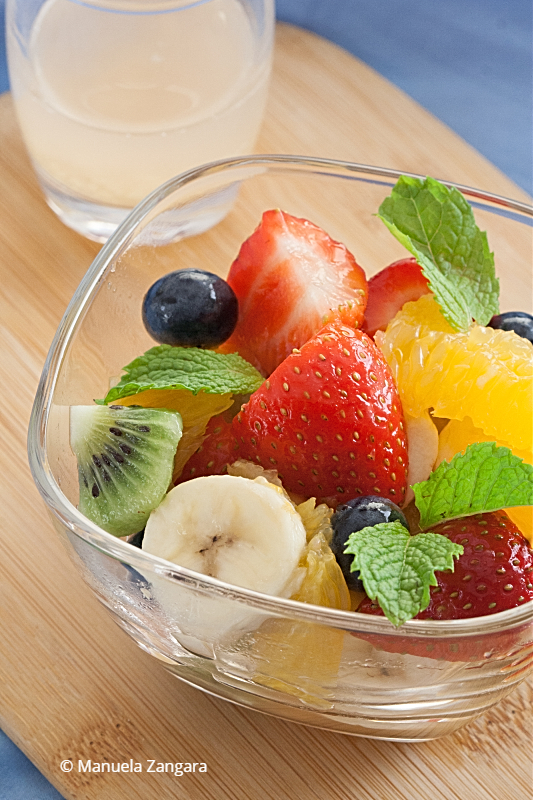 I love fruit salads in general and this Low Fodmap Fruit Salad with Ginger Lime Syrup is exceptional: refreshing and delicious. 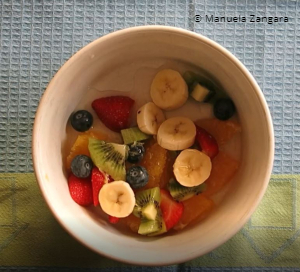 Eating fruit when following the Low Fodmap diet can be tricky. 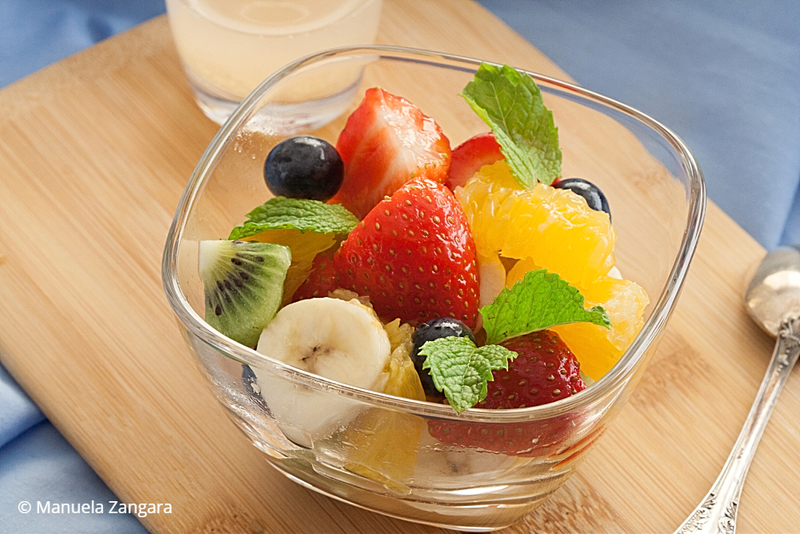 Make sure you keep the portion size to 1 cup of fruit salad and use only 1 tablespoon of ginger lime syrup per serve to avoid any issues. I love the lime and ginger syrup, it adds an exotic and slightly spicy touch to a simple dish. 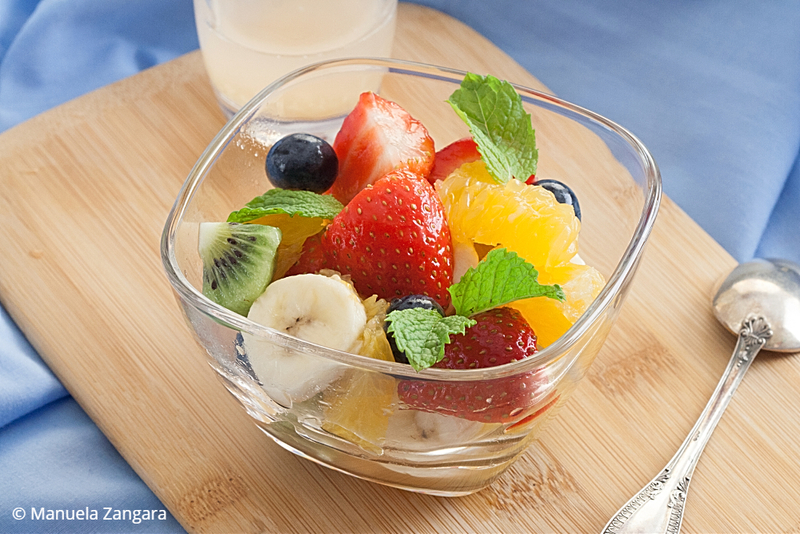 It’s definitely the perfect way to end your meal: it’s healthy, delicious and it will satisfy your sweet cravings. Do try it! 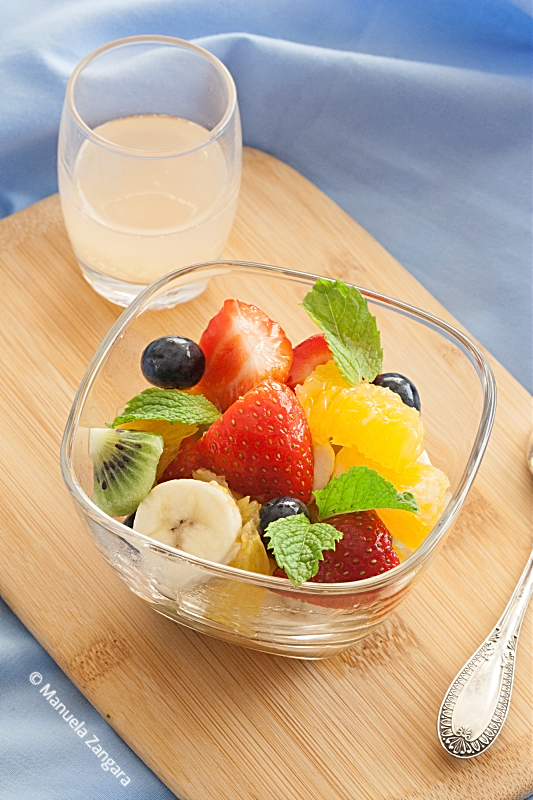 Low Fodmap Fruit Salad with Ginger Lime Syrup – a refreshing and delicious fruit salad with an exotic flavour. The perfect way to end your meal. Mix all the ingredients in a glass and microwave until the sugar has melted. Let it cool down, then filter (optional) and keep aside. 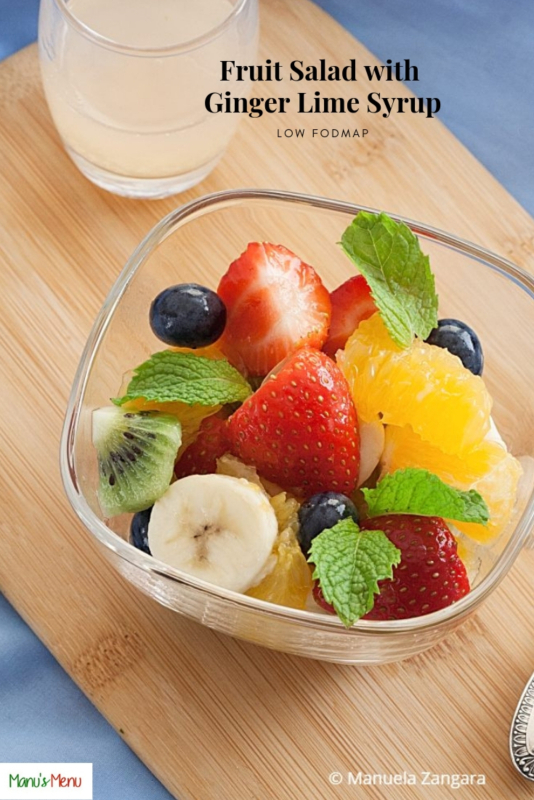 Clean and cut all the fruits and put them in a bowl. Dress with the ginger lime syrup, mix well and let it rest for 10-15 minutes in the fridge. Add the mint leaves and serve cold. Bananas are low Fodmap up to 100 grams (1 medium banana) when still firm (unripe) and yellow. 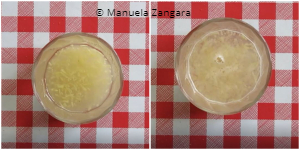 However bananas become high Fodmap for fructans when ripe (yellow with brown spots). So, make sure the banana is not too ripe. Use only 1 tablespoon of ginger lime syrup per serve. You can keep the remaining syrup in the fridge for up to 3 days.